Update 3.2.0, “Bestiary” is the next update for Grinding Gear Games’ Path of Exile, available today. It will be available on Xbox One next week, but it’s live on PC today. This update features the new Bestiary Challenge League, in which players compete to hunt and capture nearly 300 of the most dangerous animals of Wraeclast, and then sacrifice their prey to create and augment potent items. Path of Exile continues to be one of the largest online action role-playing games with continual, massive audience growth. 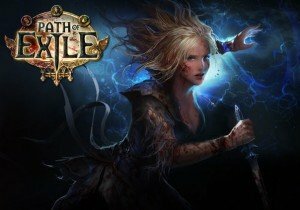 Successful launches on the Xbox One and in China have more than doubled the Path of Exile player community since August 2017, with over 3.5 million players having played the game’s 2017 expansion, Path of Exile: The Fall of Oriath. Capture Dangerous Beasts: Track Wraeclast’s most dangerous animals, weaken them, and capture them to make them your own. There are around 250 regular beasts and 40 legendary beasts to capture. Populate your Menagerie: Visit and observe the beasts you’ve captured whenever you want, then use them to fuel your Beastcrafting. The Story Continues: High-level players will be able to challenge The Elder and The Shaper simultaneously, deep in the center of the Atlas of Worlds — the toughest boss encounter in Path of Exile yet! And much more: We’ve also added a new quest to Act Ten and have made many other small changes including ongoing performance improvements. Available on Xbox One and PC: Path of Exile: Bestiary is coming to PC and Xbox One. They are both, of course, 100% free to play.